Happy Valentine's Day! Today I have two more Valentine's cards to share, both with the same color scheme, pink and gold. I recently got some Reverse Confetti goodies and was happy to finally get to use them. On this card I used some pattern paper I found in the dollar spot at Target along with an adhesive crystal sheet I found in the clearance section of Michaels. 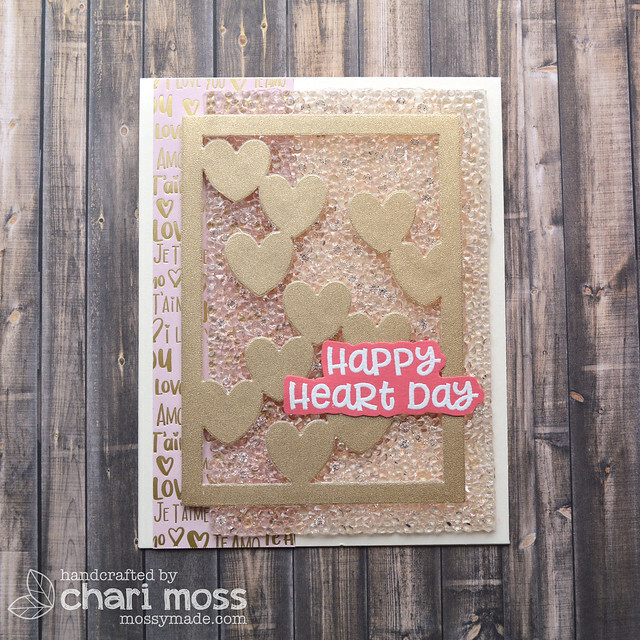 I layered these elements on a cream colored card base then I cut the Reverse Confetti Falling Hearts Panel from a satin gold paper to pull in the foiled gold in the pattern paper behind. The sentiment is also from Reverse Confetti's Heart Filled Sentiments set. I white embossed it on Guava cardstock then fussy cut it out to finish off the card. My second card features the same pattern paper. I actually created this card first and the other card simply used up the remaining portion of the 6x6 paper that I had left over from this one. 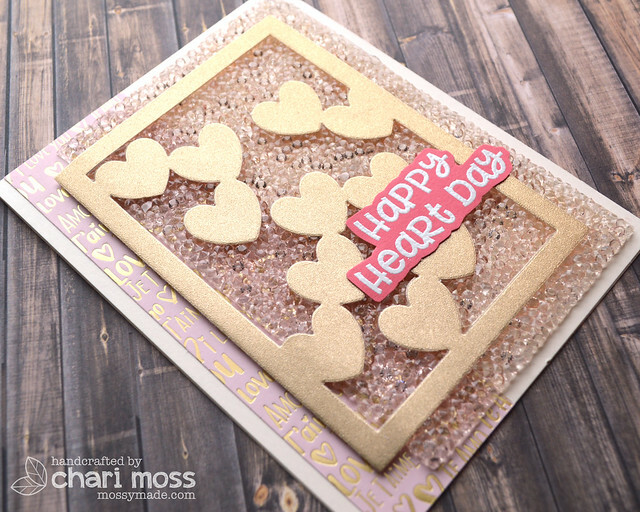 I die cut a Glitter Gold Lacy Heart and layered a stitched heart cut from WPlus9 oatmeat cardstock over top. The sentiment is stamped with Wild Rose ink using an older Essentials By Ellen stamp set. I finished things off with gold thread tucked behind my heart element and some matte gold sequins that match the pattern paper perfectly.